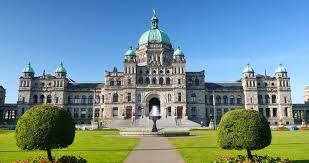 Saturday, April 28/18: We will kick off events with a reception at a local Victoria establishment. This will be a perfect opportunity to put the face behind the email and meet your GPOP colleagues in a relaxed and fun atmosphere. The cost of the reception is included in the CICan:GPOP pre‑conference registration fee. Sunday, April 29/18: Now that you have made lots of new friends, join us for a day full of professional development. The day will kick off early with registration and networking breakfast, followed by keynote speaker Natasha Himer, Governance Lawyer with Watson Inc.
Click on the other drop down menus under Conferences/2018 – Victoria, BC for further details on the welcome reception, conference agenda, keynote speaker and more! See you at the Victoria Convention Centre!